Welcome to my personal collection of old Derbyshire postcards. Deltiology, or postcard collecting, is thought to be one of the three largest collectable hobbies in the world along with coin and stamp collecting. The first commercially produced postcards were introduced to the United States in 1893. Being over 100 years old means that some old postcards are truly antiques. It’s really amazing that these little pieces of paper have lasted over 100 years and many are in remarkably good condition. Portability of postcards, relatively inexpensive prices, and the wide variety of subject matter add to their attractiveness. They tell a unique story of the history and heritage of the county. Hope you enjoy. My Old Derbyshire Postcards website is in its infancy so please be patient. 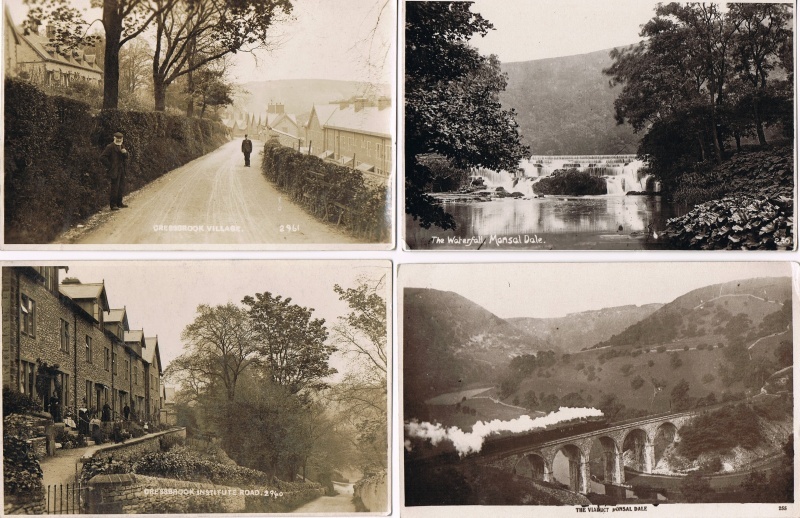 If you have any old Derbyshire postcards or old Derbyshire photographs to offer then please contact me.